Newer models of old appliances are usually more expensive than the originals. Many believe this is the case with Invisalign, a newer version of braces that is improved in many ways. If you are considering what type of orthodontic appliance you would like, you may be wondering: Is Invisalign worth it? The short answer is: yes. The long answer is: Invisalign offers several benefits that will better your orthodontic experience. One benefit that all patients appreciate is how see through Invisalign aligners are. No matter what type of braces you get, chances are they are going to be noticeable. Invisalign is completely invisible, hence its name. You can smile confidently, knowing your process to straighter and healthier teeth is not being noticed by others. Invisalign aligners are comfortable, as well. Braces have pointy brackets that rub against the soft tissues of your mouth. At best they are annoying, and at worst they cause bleeding. Aligners are seamless and smooth, so wearing them all day won’t be a problem. Another benefit that makes Invisalign treatment worth it is the fact that they can be removed. 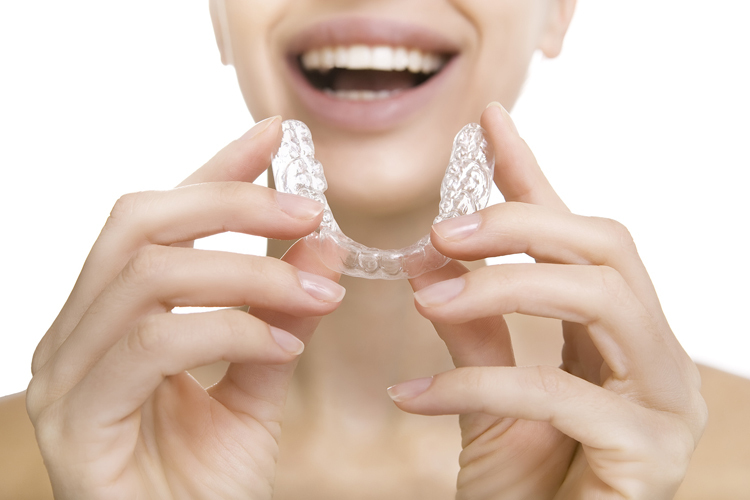 The aligners should be worn for at least twenty hours a day, but can be taken off at times. This makes eating and cleaning both your teeth at the aligners themselves incredibly easy. Depending on your specific case, the cost of your treatment with Invisalign could be comparable to that of braces. But it is important to remember that your orthodontic work should be seen as an investment. Achieving a healthy smile now will mean less dental and oral complications in the future, saving you both time and money in the long run.